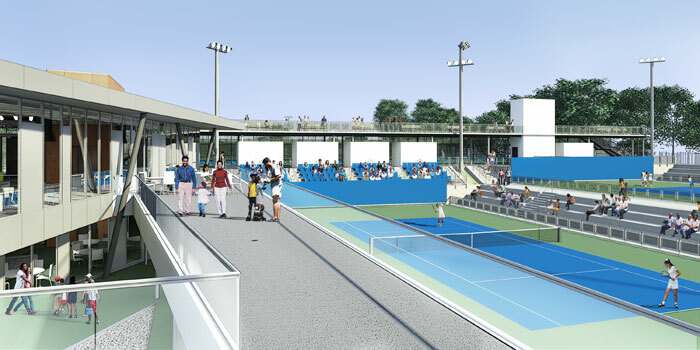 The unabashedly commercial enterprise is somewhat countered by a decidedly democratic project well underway at Crotona Park in the Bronx. 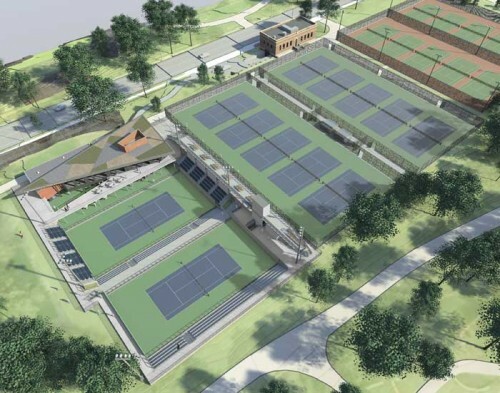 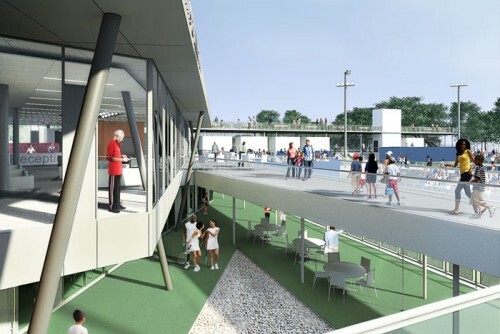 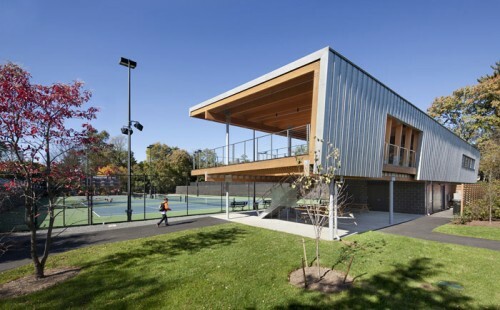 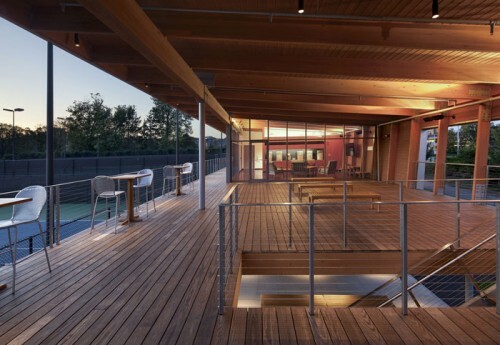 There, the nonprofit New York Junior Tennis League, founded by the late Arthur Ashe, and the Parks Department are midway through completing a $22 million international tennis center designed by Peter Gluck and Partners. 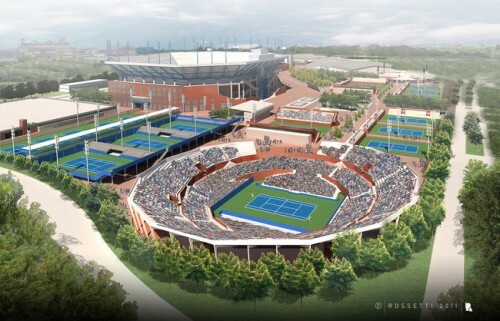 The Bronx and Queens projects are graphic examples of how a historically exclusive sport has become populist. 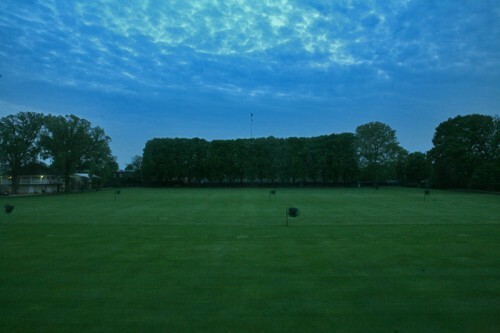 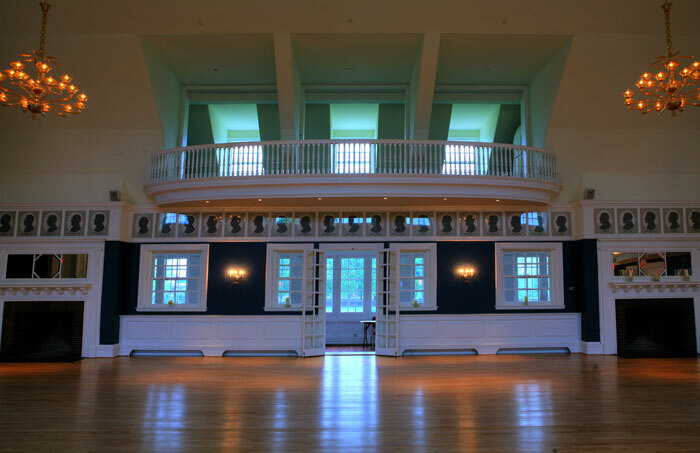 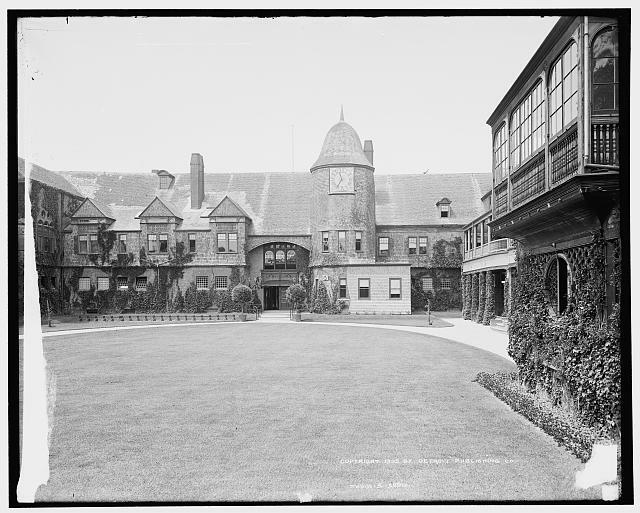 Nevertheless, McKim, Mead and White‘s lawn tennis clubs, like the Germantown Cricket Club in Philadelphia, still court old-school patrons with club rooms for bridge and a menu featuring turtle soup. And Dattner Architects’ designs for Cordish Family Pavilion at Princeton University brings its own brand of up-to-date elegance back to the game. 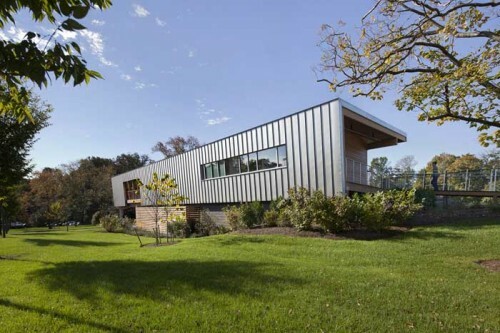 Regardless of the project, whether its big business in Queens, public/private in the Bronx, private in Princeton, or very private in Philadelphia, tennis architecture seems to have always found a way to allow money in at the gate.